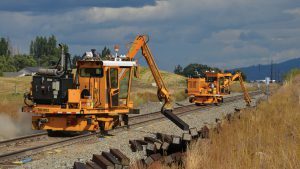 Railway infrastructure does not provide much information in and of itself, however, high-tech inspection vehicles, equipped with sensors and radars, frequently perform inspections of the track. 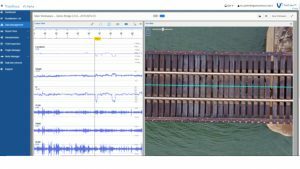 They capture millions of data points when inspecting miles of track, by measuring numerous characteristics, such as rail, track and substructure quality. Further, Unmanned Aerial Vehicles (UAVs), or drones, are now being used to take images and scan tracks. 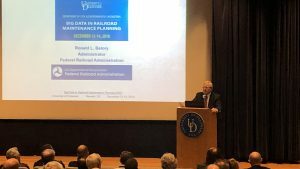 The 2018 University of Delaware Department of Civil and Environmental Engineering “Big Data in Railroad Maintenance Planning Conference,” held Dec. 13-14, spotlighted the progression the industry is making in dealing with Big Data—“converting the mountain of data collected by railway systems into effective maintenance planning information, with a focus on railway needs and practical applications. 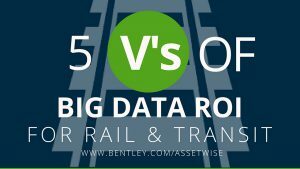 Railways are harvesting increasing volumes of data on the performance of their assets. 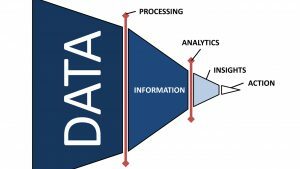 But converting raw data into meaningful insights remains a challenge for many industry organizations. 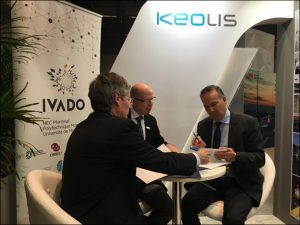 At the May 29 Rise of IoT and Big Data in Rail conference in Munich, organized by Rotaia Media, suppliers, tech companies, train operators and infrastructure managers described how they are harnessing the power of data through advanced asset management systems. 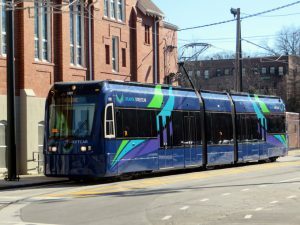 The emerging role of Data Science, commonly known as “Big Data” in railroad maintenance, was discussed earlier in Railway Age (“Better Railroading Through Big Data.”) As noted, railroads are developing and implementing new generations of sophisticated inspection and monitoring systems, and as a result are finding themselves collecting large volumes of data. 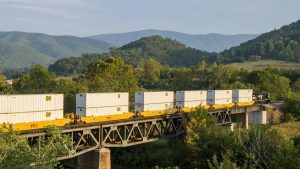 As railroads develop and implement new generations of sophisticated inspection and monitoring systems, they find themselves collecting large volumes of data, at increased frequencies across a variety of interrelated systems. Dr. Allan M. Zarembski, Professor of Practice and Director of the University of Delaware Railroad Engineering and Safety Program, has received the 2017 Fumio Tatsuoka Best Paper Award from the journal Transportation Infrastructure Geotechnology. 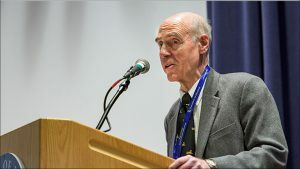 He was recognized for four papers that made significant impact on geotechnology in railway engineering, specifically in the realms of track geometry defects and track substructure.